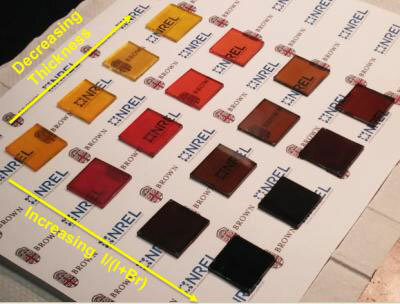 (Nanowerk News) Research led by a Brown University Ph.D. student has revealed a new way to make light-absorbing perovskite films for use in solar cells. The new method involves a room-temperature solvent bath to create perovskite crystals, rather than the blast of heat used in current crystallization methods. A study published in the Royal Society of Chemistry's Journal of Materials Chemistry A ("Room-Temperature Crystallization of Hybrid-Perovskite Thin Films via Solvent-Solvent Extraction for High-Performance Solar Cells") shows that the technique produces high-quality crystalline films with precise control over thickness across large areas, and could point the way toward mass production methods for perovskite cells.